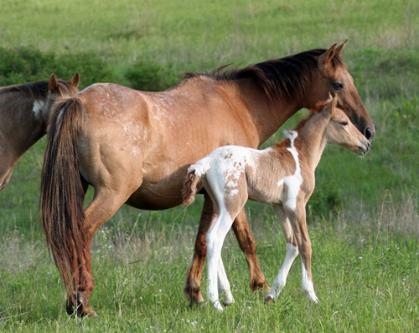 of appaloosa patterns found in SSMA horses. I am presently collecting pictures. I will include them as they come in. is often said to have a "frosted blanket". conjunction with other appy patterns. by the rump area being white. sometimes called a "lace blanket"
can be any base color white. LP, to all of their foals. His dam is a bay dun snowflake.